Mobile storage for mags and more. 6 Bandoleers, 1 low price! 5" x 4.5" x 6.5"
Constant companions to the M60 machine gun, Bandoleers like these each carried a fresh 100-round linked chain of 7.62mm ammo. 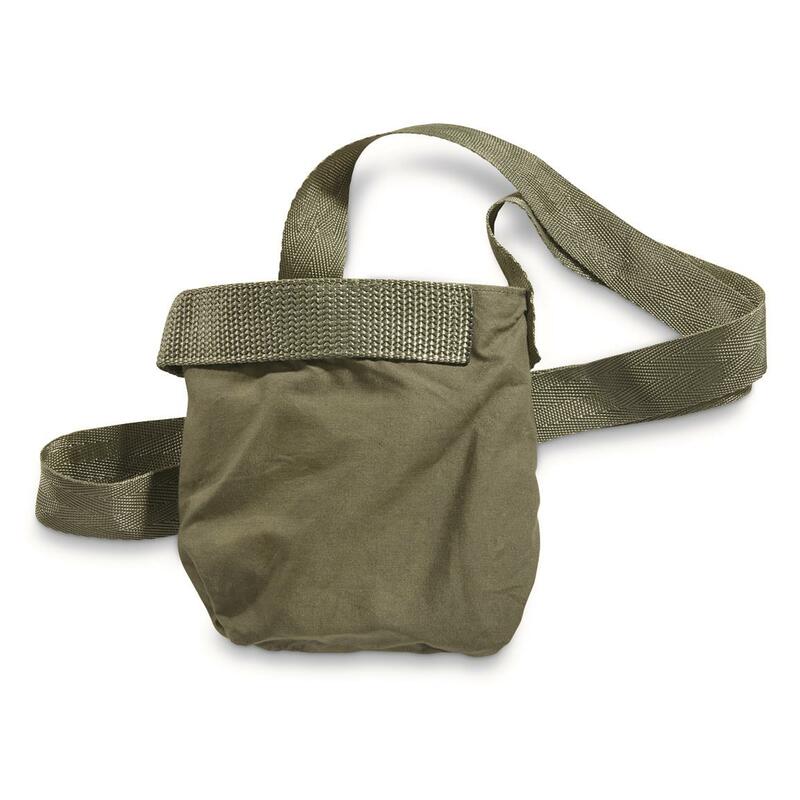 While you might not have anything similar, this is a nice, handy size for carrying all sorts of stuff. Each is big enough to haul about 5 DVD or video game-style cases. Also perfect for books or cartridge boxes. Or maybe extra mags at the range. You get 6 Bandoleers, each made to strict U.S. military specs. Each is 5" x 4.5" x 6.5"
Size: 5" x 4.5" x 6.5"